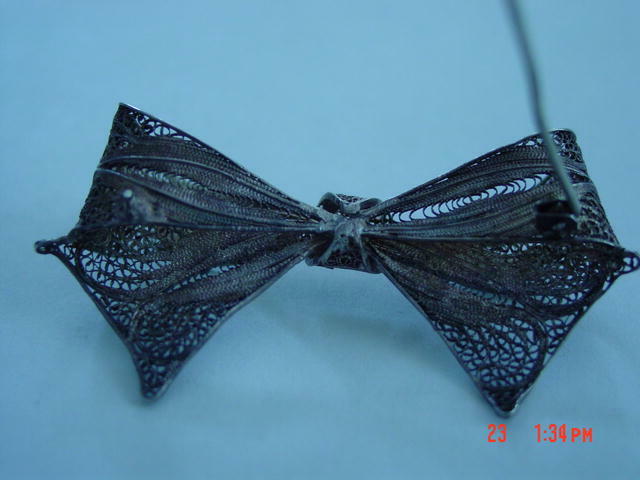 This dainty Victorian bow brooch was made by spinning threads of silver into a filigree pattern. It is approximately 2" long and 1" wide. The silver has a wonderful patina. The loop for the pin broke when I was trying to straighten it. 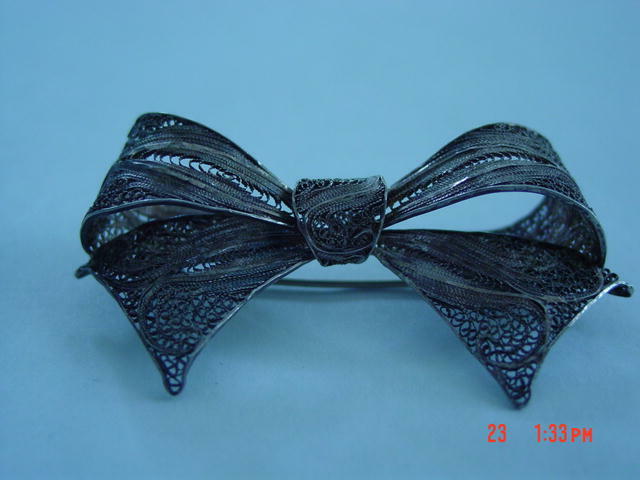 Items Similar To "Antique Victorian Spun Silver Filigree Bow Brooch Pin"